JQ Talks: Best Reasonable Bibimbap In Seoul! \\ Where To Eat When In Seoul? Best Reasonable Bibimbap In Seoul! \\ Where To Eat When In Seoul? Seriously everybody, this has to be one of the best bibimbap that we have ever eaten so far. We stumbled upon this place by accident after finding out that the restaurant that we wanted to go to were closed for the holidays. So we just walked around Ewha University Shopping Street and see what's there to fill our hungry stomachs. 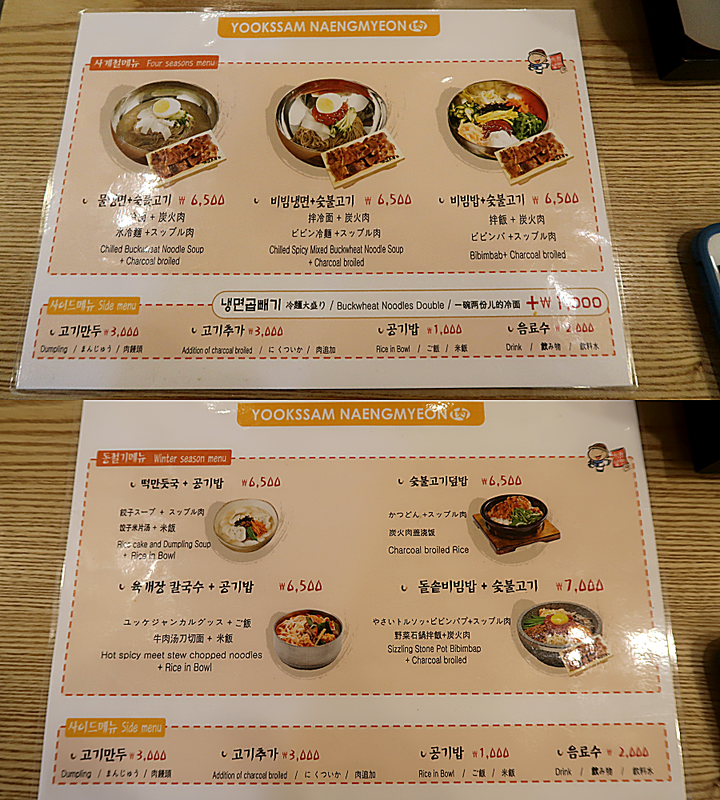 Apparently, Yookssam NaengMyeon have a few outlets around Seoul, you can find them in popular places such as Myeongdong, Gangnam, and Hongdae. 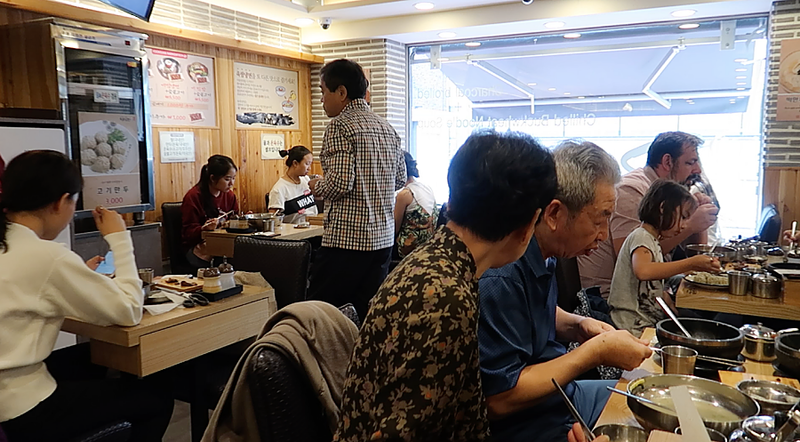 The shop that we ate at is located near Ewha University and just a few stores away from the popular Mister Bossam restaurant. Directions is provided at the end of the blog. They have limited choices of food but I would believe that they are all delicious and well prepared. Another awesome point of this place is that they have english translation so at least you'll know what you are ordering. We ordered the Sizzling Stone Pot Bibimbap with pork and decided to share first because we kind of wanted to leave some space of the street foods around Ewha. Kimchi is free, water and hot soup are self service, and they have a few sauces at the side. Of course, you usually only have bibimbap with special bibimbap gochujang sauce and mix them all up with the rice and vegetables. It's so delicious and the stone pot helps to keep the rice warm longer. The grilled pork, goodness is so good and well cooked. It was all so good that we had thoughts about ordering our second set. We didn't try others but we probably will if we had the chance to go back Seoul together again. Ewha Station Exit 2, walk straight and cross 3 intersections. Continue walking straight until a zebra crossing. Cross the zebra crossing and turn left and walk straight for 20m. Mister Bossam will be on your right. Just walk further down and you'll be able to find loads of banners outside. The shop is located on the 1st floor or in Korean's term, 2nd Floor cause they consider the Ground Floor as the 1st Floor.